Throwing a big Halloween bash? From dark and stormy death punch to deep-red sparkling pomegranate punch, here are six terrific drink recipes to win over Halloween guests. 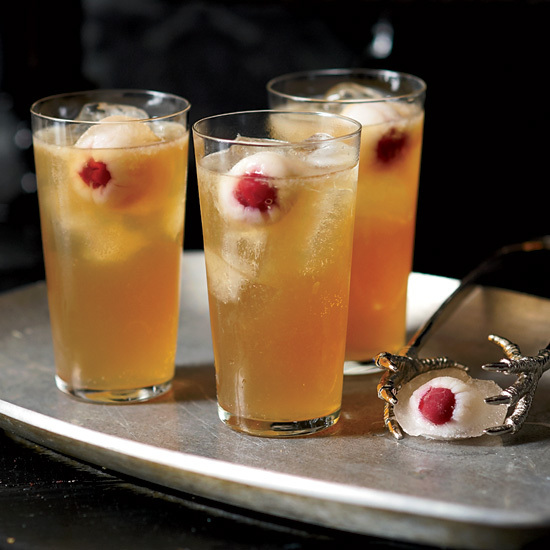 The floating "eyeballs" in this spooky punch are made by stuffing lychees with brandied cherries. 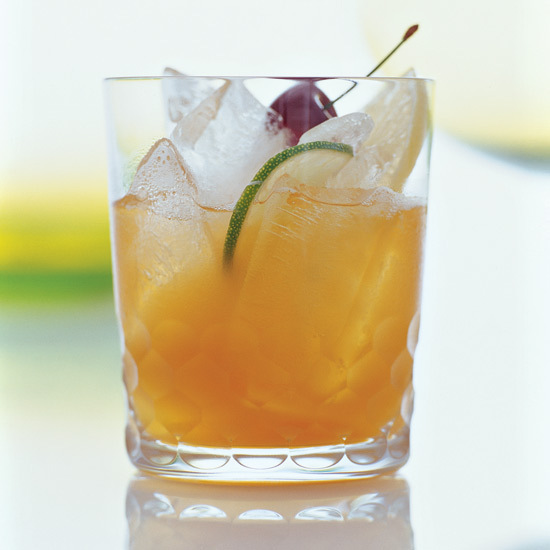 Philip Ward of New York's Death & Co. makes a potent concoction named after the old British slang for gin. 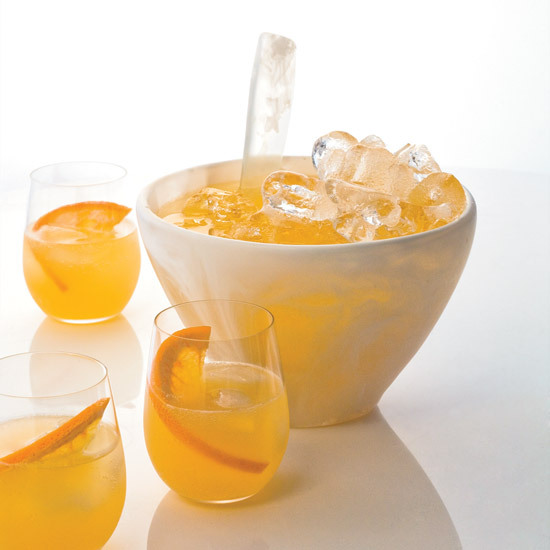 This brilliant orange drink can easily be made ahead of time. 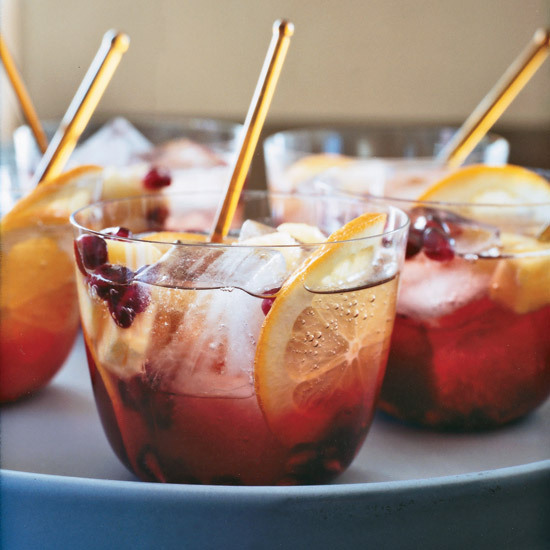 Pomegranate juice gives this bubbly punch its fantastic deep-red color. 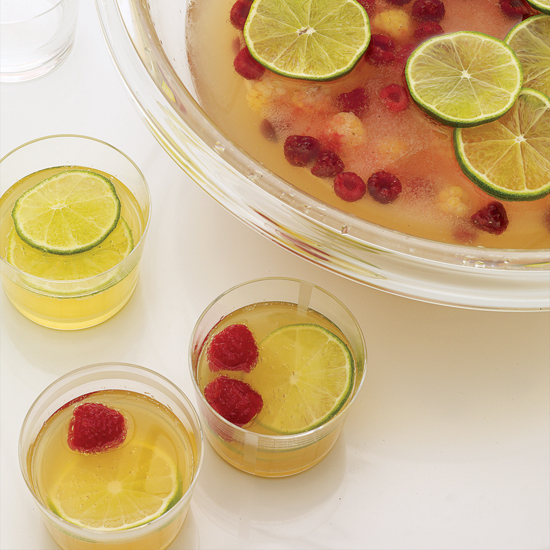 Chef Shawn McClain knows drinks as well as food, as proven by this part-sweet, part-tart sparkling pomegranate punch. 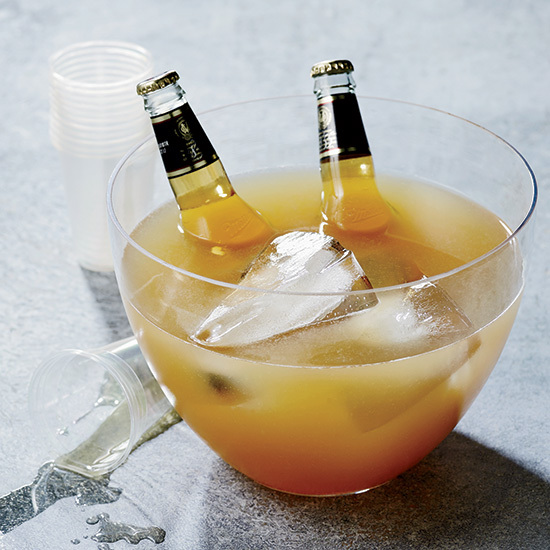 For a cheeky garnish, put two bottles of Miller High Life in the punch bowl for stragglers who arrive at the end of the night.